Rui is responsible for the general management of the company and for the definition of its strategy, in addition to the direct management of critical projects. He holds more than 15 years of experience in the Information Security and Managed Services field, and in the 10 years prior to founding INTEGRITY, he performed as the Director of Security Practice at Oni Telecom and Head of the Managed Services department at GLINTT. 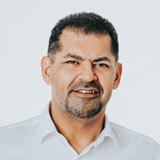 A well-known professional, mainly in corporate & financial customers, Rui holds an MSc in Information Security by Royal Holloway – University of London and holds known relevant International Professional Certifications such as CISSP, CISA, ISO 27001 Lead Auditor and ITIL, besides technical certifications such as MCSE. Rui is an enthusiastic and passionate speaker in Technology and InfoSec related topics. With more than 12 years of professional experience in Information Security, Bruno manages and delivers excellence projects to INTEGRITY’s clients. In the past he was the Security Operations Manager and a Senior Information Security Consultant at ONI Telecom, where he managed and delivered Information Security Projects for corporate customers such as energy and finance. 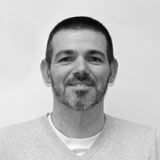 He is an active member of the InfoSec community in Portugal and was the founder of the Portuguese chapter of the Honeynet Project, and the founder and manager of the Portuguese Mailing List InfoSec-Pros-PT. He participates in the organisation of informal monthly meetings of Information Security Professionals (Contraria). He is a frequent speaker at InfoSec events, having presented at as OWASP, IBWAS 2010, Infosec Day 2011, Codebits, IDC ICT Security, among others. Bruno holds an MSc. in Information Security (distinction) from Royal Holloway, University of London, as well as several International Certifications such as CISSP-ISSMP, OSCP, CISA, ISO 27001 Lead Auditor and ITIL. Nuno is the responsible for the Managed Services projects of INTEGRITY, and participates in the delivery and management of various consulting and advisory projects of INTEGRITY. He has more than 12 years of experience in the InfoSec field, and before joining INTEGRITY he was the Business Developer and Senior Information Security Consultant at ONI Telecom, where he managed and delivered Information Security Projects for corporate customers such as energy and finance. Nuno has a vast knowledge of the financial sector, based on his extensive experience in the sector where he has developed several critical projects. He holds an Engineering degree in IT besides relevant International Certifications such as CISSP, CISA, ISO 27001 Lead Auditor and ITIL. 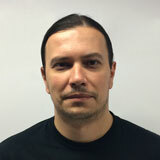 Nuno also holds several technical certifications in infosec, performance optimization and monitoring solutions. Marco is the responsible for various projects in different contexts of the INTEGRITY practice, namely auditing and consulting in forensics, infosec auditing, ISO 27001 implementation and performance auditing and optimization. Marco has more than 12 years of experience in the InfoSec field, where he has delivered various critical projects in customers in the Energy, Financial and Public Sectors that contributed for a strong technical expertise. In the past he was the Information Security Manager and Senior Information Security Consultant at Oni Telecom, where he managed and delivered Information Security Projects for corporate customers such as public, energy and finance. 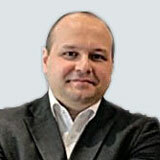 Marco was a founder of the Portuguese chapter of the Honeynet Project. He holds an Engineering degree in IT besides relevant International Certifications such as CISSP, CISA, ISO 27001 Lead Auditor and ITIL.